Today was a great day at church. It was our second "I Will Follow" Sunday. This is a special Sunday at Revolution once every quarter where people are given the opportunity to "go public" with their faith in Christ, either for the first time or as a re-commitment. Today, over 25 people stood and chose to publicly follow Jesus. 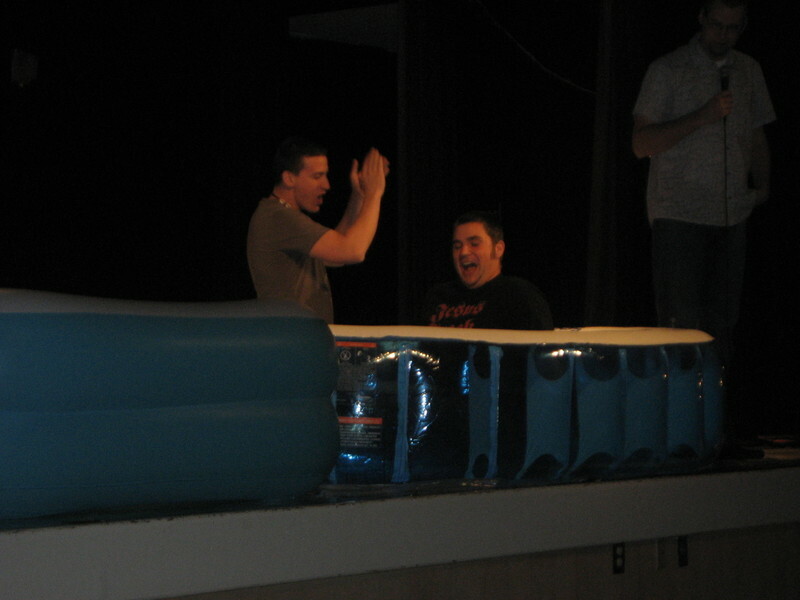 Somewhere around 13 or 14 people got baptized. It was an awesome ministry day. It’s always nice to have those encouraging days that remind you why you do what you do. As a pastor, I often feel like I am just supposed to love everything I do everyday. The truth is there are days that I don’t. I get tired. I get discouraged. There are days where I want to completely throw in the towel. There are seasons that I wonder if this is really what God called me to do. But eventually I’m reminded of the truth. Sometimes it’s through the encouragement of other believers and mentors. Sometimes it’s through reading my Bible. Today it was by seeing people take a leap of faith. It was in seeing people I care about and have invested in take a significant step in their faith journey. It was clearly seeing people’s lives changed for the better. Thank God for those glimpses that keep us going and keep us from growing too weary in doing good!